ARE YOU OLD ENOUGH TO LIVE YOUR MYTH? To enter the website, you have to be older than 18 years of age. For us in Olympic Brewery, Responsible Drinking is an especially sensitive issue that is linked directly to the safety of our consumers. Learn more about Responsible Drinking here. Rich foam, bright blonde color and complex yet distinct flavors. Balanced body with fruity nuances and hop notes, with a slight sweetness and rich, long-lasting aftertaste make Mythos lager both enjoyable and refreshing. Whenever you want something refreshing, Mythos Radler with lemon is the perfect refreshment for every time of the day. Natural taste and low alcohol content, what’s not to love? 40% Beer: Water, Barley malt, Hops. 60% Lemon juice: Water, Fructose syrup, Concentrated orange juice (3%), Concentrated lemon juice (1%), Orange extract: citric acid, Barley malt extract, Natural lemon aromas, Natural aromas, Stabilizer: locust bean gum. 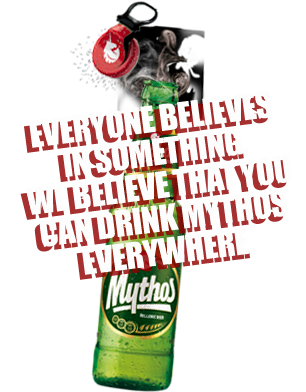 Mythos beer was born in the 90s aka the coolest decade! 1997 was the first year of Mythos in the Greek market and it immediately gained rave impressions from consumers, breaking the status quo of other established beer choices in the Greek beer market by becoming a cool alternative. The recipe of Mythos beer, was the result of combining the expertise of the Greek Master Brewer of “Mythos Brewery” with the accumulated know-how acquired by the Brewery due to its collaborations with major European beer schools such as the German, Irish, Danish and French. After extensive taste tests by experts and consumers just like you, we created the original recipe that offers an easy-to-drink beer with rich foam, bright blonde color and awesome taste. Mythos beer knows no borders, since it goes well beyond the Greek market. Being exported to more than 30 countries all over the world, it is the most famous Hellenic beer. 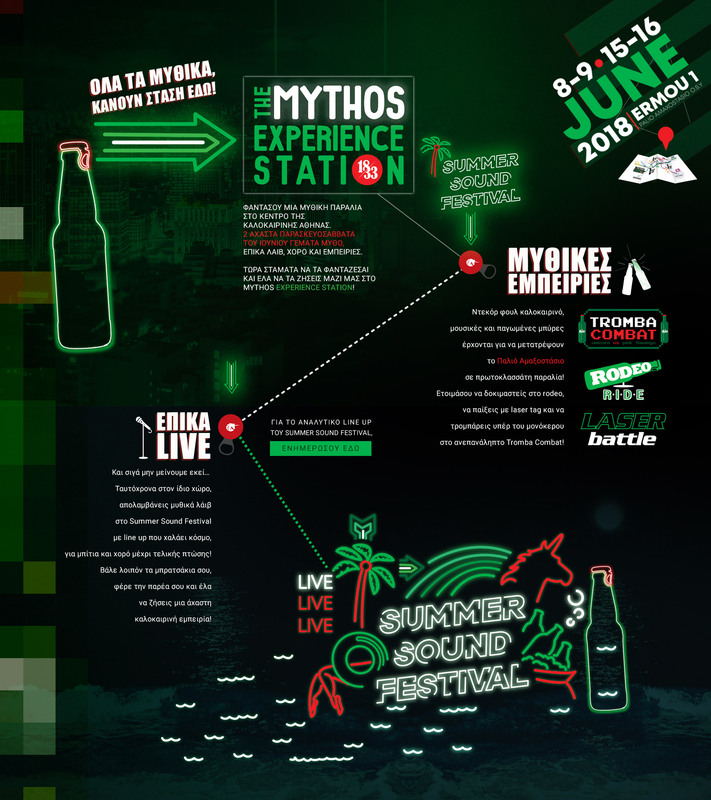 Mythos launches and enthuses the audience, quickly becoming the 3d beer brand in the Greek market. Its recipe was the result of combining the expertise of the Greek Master Brewer of “Mythos Brewery” with the accumulated know-how acquired by the Brewery’s collaborations with major European beer schools. The journey to glory begins! In the beginning of 00s, we get our first major distinction: Gold award in “2001 Interbeer International Beer & Whiskey Competition”! 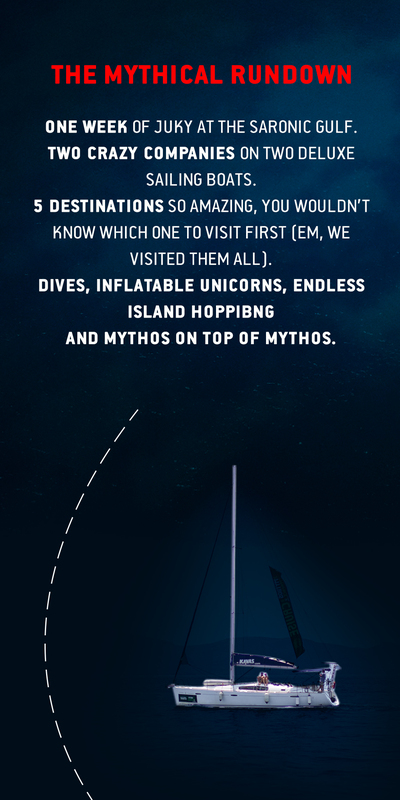 At the same time, we raise our sales in Greece and export Mythos to more than 30 countries worldwide, because duh. Hello 2008, hello Superior Taste Award at the world-acclaimed contest of the iTQi! 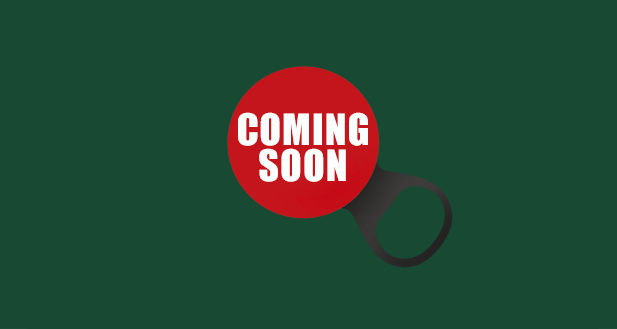 Later on, we launch our celebrated textured green bottle. 2011 begins with another Superior Taste Award, after a blind tasting session. Cause we are superior like that. And because we don’t like resting on our laurels, we casually disrupt the market by introducing successfully the new DraughtMaster™ Flex 20 & DraughtMaster™ Μοdular 20 technologies. 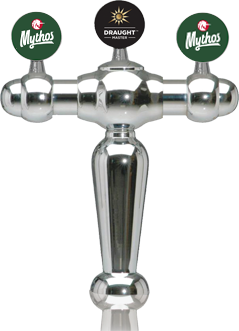 Yes, they’re as cool as they sound, keeping beer fresh for longer, to enjoy your Mythos the way it deserves to. We get the vibes for something light and catchy and launch Mythos Radler, the refreshing combination of beer and fresh lemon juice. Oh, and we win the Premium Taste Award, because we can. As we always like to reinvent ourselves, we get a new modern label and of course our legendary easy open cap! 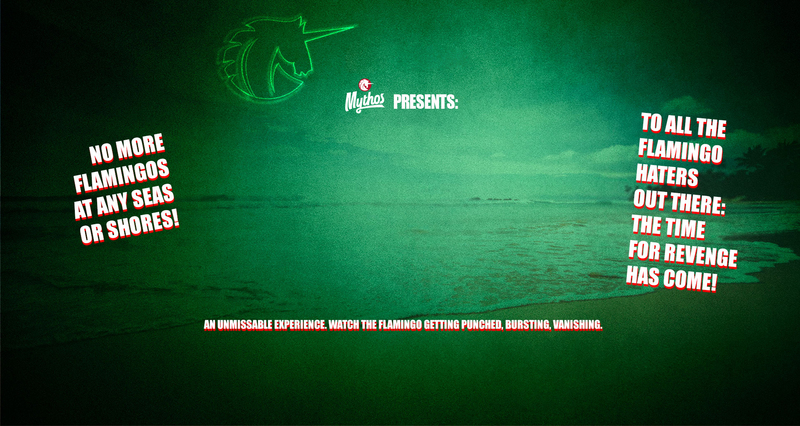 We ride into the future on our unicorn with our new, uber-cool red cap! We also change the image of Mythos Radler –and as you’ll have already understand by now, we are pretty much unstoppable so cheers to the next 20 mythical years! Are you looking for the perfect location? Or Antonis’, it’s up to you. For easy-going times without looking for an opener. To speed up great moments (wink, wink). It didn’t take much to become world-famous, really. We are not the bragging type but since Mythos was born in Greece in 1997, it has acquired mythical proportions all over the world! 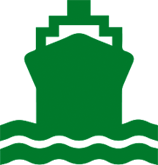 Being exported to more than 30 countries all over the world, it is the most famous Hellenic beer…People open easily the beloved green bottle and enjoy our beer’s amazing flavor! How is so? First of all, it’s due to its unique, award-winning recipe! Also…have you seen its cap? 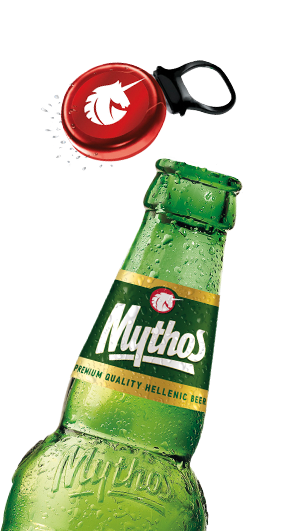 Grab your own Mythos, pull its easy open cap and release the Greek summer in a single move! Ya mas! 168 CONNAUGHT ROAD CENTRAL HK. Ουπς! Αργησες. Ο διαγωνισμός έχει λήξει, το καλοκαίρι όμως είναι ακόμα στην αρχή του! Ζήστο μυθικά! 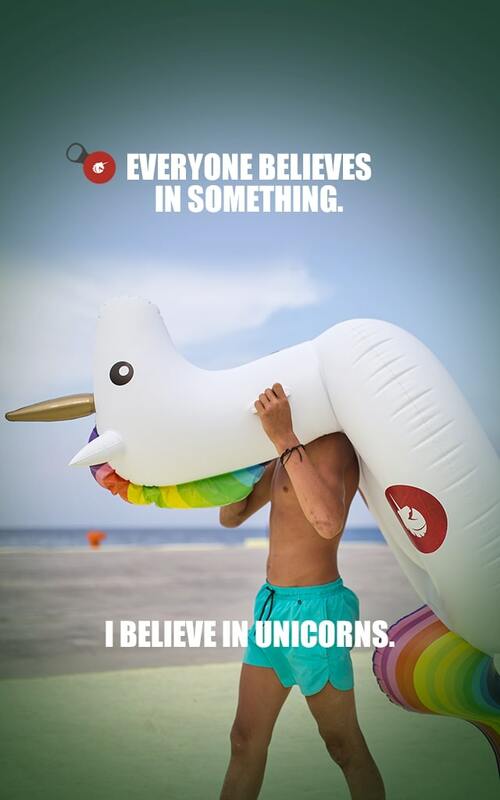 but you are too young for mythical experiences. For us at Mythos Brewery, Responsible Consumption is a particularly sensitive issue directly related to the safety of our customers. 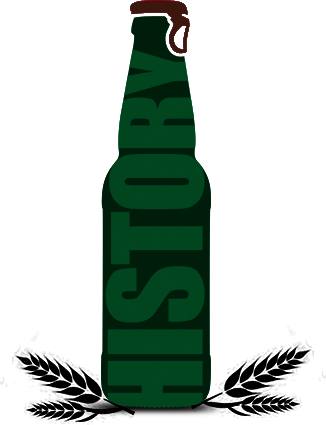 One of the oldest products of our culture, beer, is a natural product made ​​mainly of water, barley malt, hops, and yeast. According to scientific studies, mild beer consumption is beneficial to health and may contribute to a healthy lifestyle. At Mythos Brewery we are committed to provide comprehensive information for our consumers that they can themselves make informed choices when they consume our products. 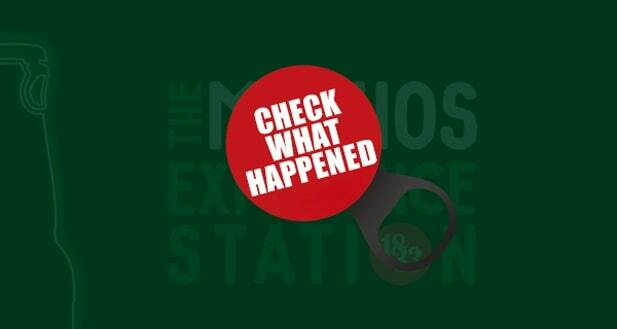 Mythos Brewery, being sensitive to issues related to proper and responsible consumption, applies to its communication the exhortation “Enjoy Responsibly”. At the same time, Mythos Brewery is committed to communicate anything related to its beers via TV and/or Radio during hours and programs not targeted to young or kids. At Mythos Brewery we have developed a philosophy that is being applied to all our marketing activities. – DO NOT obscure the nature or degree of alcohol product. – DO NOT give too much importance to power (alcoholic degree) of the spirit. 2) The consumption of our products can be viewed as an enjoyable part of social activity, but does not suggest that it may help the individual’s social success or acceptance or personal popularity. 3) DO NOT present our products as a means of lifting personal inhibitions. 4) DO NOT link the consumption with mood change or problems solving. 5) DO NOT create the impression that alcohol may enhance the mental capacity or improve physical performance. · Avoid occasional excessive alcohol consumption. You can drink every day a little so as not to succumb to opportunistic and excessive alcohol consumption. · Never drink beer when going to drive. Risks and consequences of driving drunk are clear. The combination of alcohol and driving can cause fatal accidents, criminal prosecutions and have serious consequences on family and social situation. Our recommendation is simple: If you drink, do not drive. Find someone else to do it. · Avoid beer consumption during pregnancy or if you are trying to become pregnant. Excessive alcohol consumption can damage the fetus you and all medical evidence shows that it is better not to drink alcohol during pregnancy. In addition, alcohol can adversely affect a woman’s ability to become pregnant, while in men excessive consumption may reduce the health and quality of sperm. · Avoid drinking beer if you are taking medication. As with all alcoholic drinks, beer when combined with medication affects the efficacy of treatment or alter its chemical composition. · Avoid drinking alcohol when operating machinery. In case of alcohol abuse, alcohol can slow the reaction time or lead to unnecessary dangerous actions. It is always good to avoid consuming alcohol during machine operating. · Consume alcohol while being with friends. It is better not to drink alcohol if you are alone. Alcohol may enhance your mood. So if you feel lonely, excessive beer consumption will intense the feeling of loneliness. · Avoid drinking alcohol if you are taking part in a sports event. Do not drink beer while you exercise as well as after completion of the sport since the body needs water to replace body fluids lost. · If you do not consume beer all week … do not try to make up for lost time in a night, and risk your health. · Eat a little, drink a little. It is not a good idea to drink beer having an empty stomach. Even a small snack may help slow the absorption of alcohol from your body. · Learn the alcohol content. Alcohol content in beer varies depending on the product. Most beers contain about 5% by volume but some beers can contain up to 7% or even more. The alcohol content of beer is always listed on the label or carton, and should always be checked. · Do not mix beer with other beverages. Consumption of beer is itself a pleasant time! Mixing beer with other beverages can increase the percentage of alcohol in your body. · Not now, maybe later. Always remember that beer is a drink that can be enjoyed anytime. You choose the appropriate time according to the program of your day. 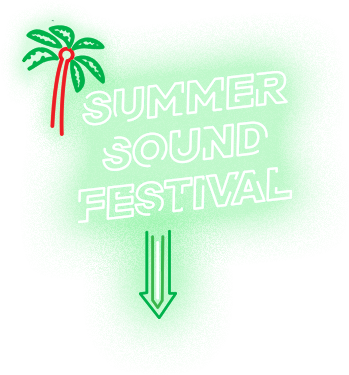 · Have fun! The enjoyment of beer is connected with friends meetings, celebrations and enjoyable fun. Responsible consumption means that you can have fun and enjoy your beer without running any risk! Beer may affect the body in different ways. When beer is consumed, alcohol is absorbed into the blood through the stomach and small intestine and quickly circulates to all parts of the body. When it reaches the brain, it affects behavior. Some people are being more lively and chatty and others more silent and nagging. Usually alcohol enhances mental situation of the person when he starts to drink. It does not only affects inhibitions, but also the physical coordination, reflexes and decision-making. As a result, people who drink excessively are more likely to put themselves at risk, to be more aggressive, and unstable. Alcohol absorption rate is affected by various factors such as how quickly is drunk and whether meal preceded. The consumption of beer in combination with the consumption of a snack or meal slows the absorption of alcohol from blood as with the slow consumption of beer or alternation with water. As blood passes through the liver, alcohol dissolves gradually and is being eliminated by the body. Excessive and longtime alcohol consumption can increase pressure and risk of liver disease, may cause stroke and cancer of mouth and throat. Alcohol dependence may lead to depression or more serious mental illnesses while excessive beer consumption increases the risk of accidents. Recommended amount of consumption is up to three 250ml glasses of beer per day for men and up to two 250ml glasses of beer per day for women. Of course, this varies depending on the weight and water content of the body, factors that tend to be higher in men. Moderate beer consumption can be good for your heart. Coronary heart disease or stroke is the leading cause of premature death in developed countries. Change in lifestyle, such as adopting a healthy diet and regular exercise are proposed preventive measures. However, part of a healthy lifestyle can be low consumption of beer, wine and spirits. It has been shown that people who consume alcoholic beverages (beer, wine or spirits) in low portions, face a significantly lower risk of developing coronary heart disease, compared to people who never drink and to people who drink a lot. The above has been proven by many studies all over the world. The benefit applies to a broad group of people, which includes high-risk groups, such as those who are predisposed to suffer cardiovascular disease or diabetes. What appears to cause the majority of positive results is that the levels of “good cholesterol” (HDL) in the blood increases when alcohol is consumed. High levels ​​of “good cholesterol” can be associated to lower risk of coronary heart disease. Scientists have proven that alcohol prevents the tendency of blood to clot. Some researchers noted the anti-inflammatory effect of alcohol and emphasized the multiple indications related to atherosclerosis, which leads to heart attacks and is an inflammatory disease. Moderate alcohol consumption may be associated with lower levels of insulin resistance. Insulin resistance is associated with cardiovascular diseases, therefore, it can be considered as an additional mechanism by which alcohol consumption reduces the risk of developing cardiovascular diseases. Furthermore, there are indications that mild to moderate alcohol consumption can be protective against impacts and other cardiovascular diseases, including heart attacks, strokes, etc. Although there are other factors – beyond what people drink – that affect health, such as diet, social status, lifestyle, our attitude towards our health and pre-existing diseases, it is therefore necessary to take seriously into account these factors, in any research on the effects of alcohol consumption on health. Not only the amount of alcohol, but the frequency of consumption should also be taken into account. In other words, how often and how someone drinks alcohol. Beer can contribute to healthy eating! Beer is made ​​from natural raw materials with high nutritional value, such as barley, cereals, yeast and water, which contribute to a healthy and balanced diet. Moderate beer consumption can provide body with many vitamins. However, it is important to remember that no food alone does not provide all the essential micronutrients needed by our body. Thus, beer should always be consumed in moderation. Natural antioxidants can be found in fruits, vegetables and grains. They can also be found in beer as ingredients of it (barley and hops). Research shows that the level of antioxidants in blood increases after drinking beer, which means that antioxidants in beer are readily absorbed and perhaps more easily than those from solid foods. Researchers suggest that the effect of beer antioxidants is direct and it is associated with reduced risk of cardiovascular disease. The importance of antioxidants in health can be shown from the fact that they may possibly play a role in protection against cancer through their activity against free radicals. Just like bread, which is prepared from cereals, beer is also a good source of many essential vitamins. Beer is particularly rich in B vitamins, for example niacin, riboflavin (B2), pyridoxine (B6), folic acid (B9) and cobalamin (B12). Beer consists of vital minerals, calcium sodium. It contains as much calcium and magnesium, in order to protect against gallstones, obstruction of the bile ducts of the liver. Mild beer consumption is not fattening! Beer contains no fat or lipoprotein (cholesterol) and is low in sugar content. Calories of beer come mainly from alcohol content. Calorific value of beer is less than other beverages, but we tend to drink beer in large quantities. The term “lifeline” (flab around the stomach) associated with obesity is also associated with beer drinkers in several parts of Europe. However, this may not be due to the beer, but also due to other consumer characteristics. It is a matter of lifestyle! You need a balanced diet, regular exercise, moderate drinking and abstinence from smoking. Evidence shows that a healthy lifestyle does not exclude the consumption of beer or other alcoholic beverages, as long as it is done in a moderate way. Studies underway to examine whether some of the potentially beneficial components of foods and drinks – like beer – can be useful for the body and if they may help in prevention of diseases. This website is created and controlled by MYTHOS BREWERY in Greece and that exclusive jurisdiction resides in the courts of Athens.  You agree that any claim relating to this website, the services provided through this website or to these Terms and Conditions of use shall be governed by the substantive laws of the city of Athens, without giving effect to any principles of conflicts of law. This website has been designed to comply with Greek law. MYTHOS BREWERY does not claim that the content of this website is appropriate for locations outside Greece. 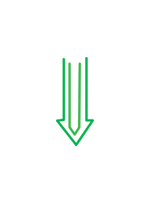 By accessing this website from a location outside Greece, you are responsible for complying with all applicable local laws. MYTHOS BREWERY and the entities belonging to the same business group own, many trademarks.  These trademarks may not be used in any manner likely to cause confusion, to scorn or dilute these trademarks and/or in connection with any product or service that is not authorized or sponsored by MYTHOS BREWERY. MYTHOS BREWERY may terminate your right to use this website, with or without any cause at any time in its sole discretion, including, but not limited to, your violation of these Terms and Conditions. In the event of termination, all representations, warranties, indemnifications and promises made by you shall endure. (i) A physical or electronic signature of a person authorized to act on behalf of the owner of the exclusive right that is allegedly infringed; (ii) Identification of the copyrighted work claimed to have been infringed, or, if multiple copyrighted works at a single online site are covered by a single notification, a representative list of such works at that site; (iii) Identification of the material that is claimed to be infringing or to be the subject of infringing activity and that is to be removed or access to which is to be disabled, and information reasonably sufficient to enable us to locate the material; (iv) Information reasonably sufficient to enable us to contact the complainant, such as an address, telephone number and, if available, an e-mail address; (v) A statement to the effect that the complainant believes in good faith that the use of the material in the manner reported has not been authorized by the copyright owner, its agent or the law; and (vi) A statement to the effect that the information in the notification is accurate, and under penalty of perjury, that the complainant is authorized to act on behalf of the owner of an exclusive right that is allegedly infringed. It is our policy to terminate relationships regarding content with third parties who repeatedly infringe the copyrights of others. 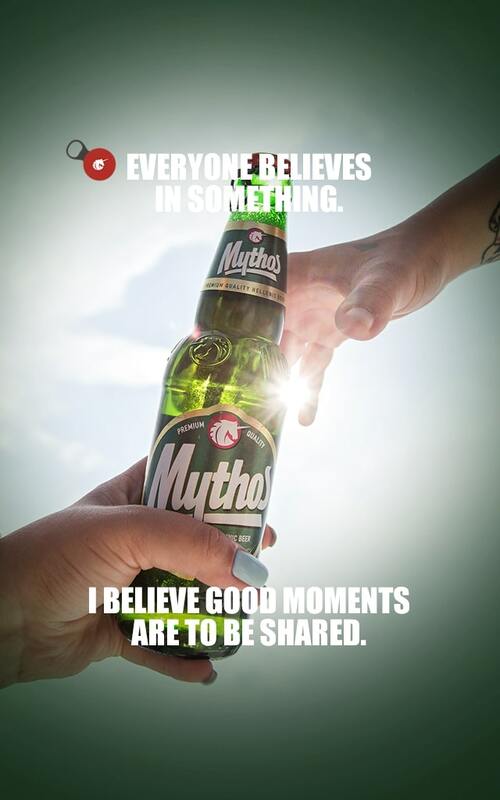 In no event MYTHOS BREWERY shall be liable for any claim of copyright infringement which might arise from the posting of any video or other user-generated content on any third party website or which might arise from any other unauthorized use by a third party of the video or any other user-generated content. These Terms and Conditions represent the entire agreement between you and MYTHOS BREWERY with regard to your relationship with MYTHOS BREWERY and this website, and it supersedes any prior statements or representations. In the event that any provision of these Terms and Conditions, or portion thereof, is determined to be unenforceable, that provision shall be enforced to the maximum extent permissible so as to effect the intent of the Terms and Conditions, and the remainder of the Terms and Conditions of use shall continue in full force and effect. MYTHOS BREWERY reserves the right to change the Terms and Conditions at any time by posting the changes online. MYTHOS BREWERY respects the privacy of each individual who accesses our internet websites. These privacy policies refer to the information that MYTHOS BREWERY may collect, as well as how we can use such information, which is, in any case, covered by Greek Law. Management and Protection of Privacy of user of this site is subject to the terms of this section and the relevant provisions of Greek law (Law 2472/1997) as amended and European law. If a visitor / user does not agree to the terms of protection of personal data under this section shall not use the services of this website. The personal data concerned shall only be used in order to: (i) send commercial information about the events managed by MYTHOS BREWERY and the products offered by the company (ii) getting your feedback on our activities, and/or (iii) participate in any of our contests or draws. By using the pages on this website, you accept and consent to these policies. If you do not accept such policies, please leave the Website and refrain from using it. You will have accepted the Terms and Conditions of these privacy policies from the moment you provide any type of personal identification data and you therefore authorize that such personal information be handled as indicated in this document. MYTHOS BREWERY reserves the right to modify and amend these policies, without prior notice. We suggest you check back periodically. 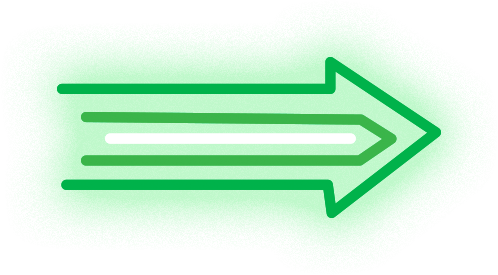 If you continue using this website after changes to the Policies have been posted, this will mean that you have accepted such changes and you agree to them. You can rest assured that no changes will be applied retroactively nor will they alter the handling of information obtained previously. 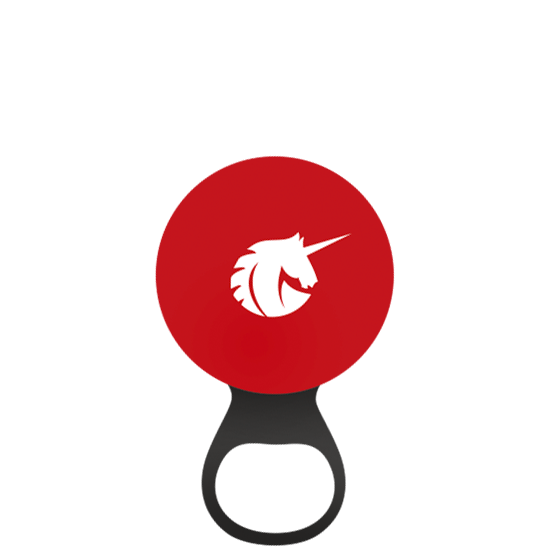 These Policies describe the type of information MYTHOS BREWERY may collect, the way in which such information may be used as well as the choices you have regarding the way your information is obtained, distributed and used. The information MYTHOS BREWERY may request is only personal information, such as your first and last name, email, country of origin and date of birth, when the user wishes to provide it voluntarily. For example, personal information may be requested in order to obtain your comments concerning our websites and our products, to make you eligible for one of our contests or giveaways. MYTHOS BREWERY will use all its diligence to protect the privacy and confidentiality of the data provided by visitors to our websites. Any use of personal information by any of the licensees and/or part of the same economic group of MYTHOS BREWERY must comply with these Policies. Occasionally, if you give your consent by accepting these policies, we will send you commercial information. MYTHOS BREWERY may hire third parties (in charge of data processing) to perform various functions, such as fulfill orders, carry out promotions, provide technical services for the website, etc. Such third parties might have access to the personal information you have provided, in order to provide the service for which they were hired, but they cannot use it for any other purpose than the one for which they were hired, in any case being obliged to sign the applicable contracts according to the current legislation. MYTHOS BREWERY reserves the right to use or reveal any personal information, to comply with certain legal, governmental or judicial regulations to protect the integrity of the websites, to comply with any request made by you or to cooperate with any legal investigation related to any issue of public safety.  This type of information includes, for example, the type of browser, each computer’s operating system, the number assigned to your computer while at the “IP” (Internet Protocol) internet address, as well as the Uniform Resource Locator, better known as “URL” of the website to which it was connected or logged on at our website. MYTHOS BREWERY collects log file information for system administration purposes and/or trend analysis and webpage administration. 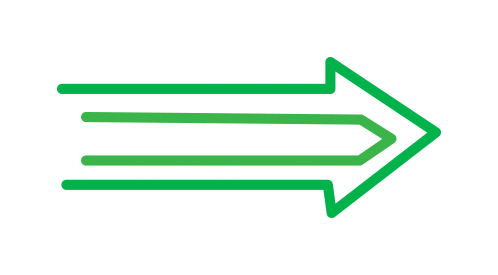 IP addresses and log file information are in no way related to identifiable personal information. On our internet websites, we are likely to include links to other websites, whether run by MYTHOS BREWERY or not. If you visit these websites, please check their policies, if they are not operated by MYTHOS BREWERY. We are not responsible for third-party policies or actions. This Website is intended for the use and enjoyment of people aged 18 or older. If an underage user has submitted his information, thus breaching this website’s access restrictions, MYTHOS BREWERY requests that the legal representatives, the parents or legal guardians of the user contact us immediately, so we can remove such information from our database. Pursuant to Greek Law 2472/1997, Protection of Personal Data, European Law and other provisions passed in its development, the voluntary transmission of personal data (including e-mail address and mobile phone number) for the purpose of entering a contest implies the entrant’s consent to MYTHOS BREWERY itself or other entities to undertake the management and processing of data (handling) and their automated processing for advertising or prospect marketing purposes, the data possibly being included in a computerised file controlled by the Company for communicating with consumers in the future, and the entrant allowing the use of this medium in order to receive communications from that Company in relation to the services it provides in the field of alcoholic beverages, as well as for the contest itself. 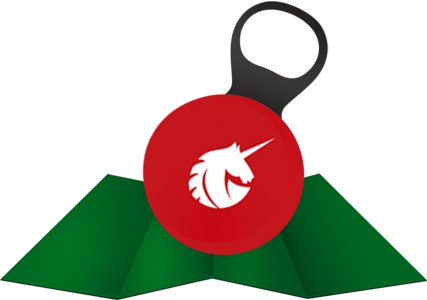 All opinions and, in general, the information published by Users are only their opinion and are not MYTHOS BREWERY’s one. With regards to the identification of Users, who post and comment on or make contributions (text, video, photos, etc. ), by the management companies and owners of the platforms defined as “Social Networks”, MYTHOS BREWERY cannot ensure the compliance with current legislation on data protection and refers users to the Privacy Policies of each Social Network. MYTHOS BREWERY, with registered offices at Kifisias 280, 152 32 – Chalandri, Attica Greece (henceforth, MYTHOS BREWERY), makes this website available for the personal use and enjoyment of visitors aged 18 or over. MYTHOS BREWERY in order to ensure that all visitors enjoy the features and services of the website, analyze the most important terms relating to the use of the website of Mythos. YOUR USE OF THIS WEBSITE CONSTITUTES YOUR ACCEPTANCE OF THE FOLLOWING TERMS AND CONDITIONS. YOU MUST BE AT LEAST 18 YEARS OF AGE TO USE THIS WEBSITE. IF YOU ARE NOT 18 YEARS OF AGE OR OLDER, IF YOU DO NOT ACCEPT THESE TERMS AND CONDITIONS OF USE OR IF YOU LIVE IN A COUNTRY WHERE THE CONSUMPTION OF ALCOHOLIC BEVERAGES IS NOT PERMITTED, DO NOT USE THIS WEBSITE. 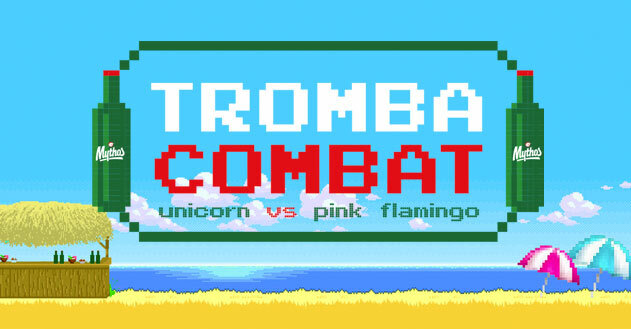 This website is for your personal, non-commercial use only. The copyright to all content on the website belongs to MYTHOS BREWERY and/or any entity is connected to the same business group (hereinafter referred to as “MYTHOS BREWERY”) including but not limited to MYTHOS BREWERY, and you may not reproduce, post on any other website, modify, distribute or transmit any portion of the site without written consent from MYTHOS BREWERY. Any name, logo, registered trademark or service mark contained on this website is owned or licensed by MYTHOS BREWERY and may not be used by you without the prior written consent of MYTHOS BREWERY. 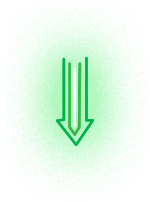 The visitor / user of the pages and services of the website of Mythos must read this carefully and in case of disagreement with the written rules must not make use of. Otherwise deemed to have accepted the terms of this and agrees. The legal information and conditions of this govern all pages of the site of Mythos, unless explicitly stated otherwise in a particular page. You acknowledge that any e-mail message or any other input sent to MYTHOS BREWERY via this website is not confidential. You also accept that any ideas, concepts, techniques or other materials that you send to MYTHOS BREWERY become the property of MYTHOS BREWERY at the time they are submitted and/or posted, and may be used by MYTHOS BREWERY for any purpose and without compensation. MYTHOS BREWERY. is not responsible for any comments posted on this website by its users. 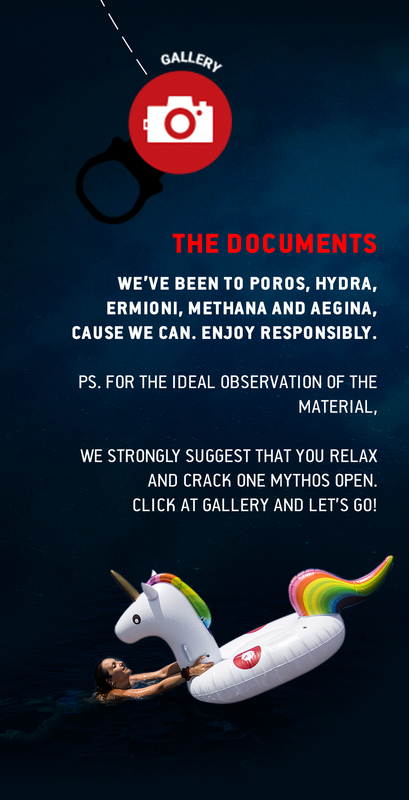 The submission of such materials in no way creates any obligation or duty on the part of MYTHOS BREWERY to post or use such materials or, if MYTHOS BREWERY chooses to do so, to give you the credit. Any photos or videos presented to the website must be your original creation. In other words, they must have been recorded by you. If the photos or videos were not recorded by you, they must be submitted by the person who recorded them. By submitting any material to the website, you declare and warrant that you are at least 18 years of age, that the said photo or video is your original creation and has not been copied in whole or in part from any other work, that it does not violate or infringe any copyright, trademark or any other proprietary right of any person or entity (including any rights of privacy or publicity), and that it is your sole and exclusive property. By submitting a photo or video, you hereby grant MYTHOS BREWERY permission to use your image or likeness as it appears in the said photo or video, and to edit, composite, morph, scan, duplicate or alter the photo or video, and to post the photo or video (as submitted or as edited, modified or otherwise changed at MYTHOS BREWERY’s sole discretion) on the website, with or without musical accompaniment. If you submit any photo or video that contains the image or likeness of any person other than yourself or with musical accompaniment, you agree to obtain written permission from each such person for MYTHOS BREWERY to use such image or likeness as it appears in the photo or video and to post the said photo or video on the website, in the manners described above. By submitting any photo or video that contains the image or reproduction of any person other than yourself or with musical accompaniment, you hereby declare and warrant that you have obtained such written permission and that such persons are at least 18 years of age. You agree to indemnify and to exempt MYTHOS BREWERY and MYTHOS BREWERY , its agents and advertising agencies from any liability, for any legal action that results from a breach of the declarations and warranties you have made herein, or that is made by a person whose image or likeness was used in any video without such person’s written consent. a) persons under the age of 18; (b) competitive products; (c) unsafe behaviour / activity that could result in personal injury or damage to property; (d) third party materials that you have no rights to, including photos and videos owned by third parties, images of celebrities, third party trademarks, artwork, etc. ; (e) illegal activity, including the consumption of drugs; (f) obscenities or profanities; (g) anything defamatory or libellous; (h) any material showing disrespect forMythos, or for any other MYTHOS BREWERY brand or any of their competitors; (i) anything racist or sexist; (j) anything pornographic or obscene; (k) gambling; or (l) anything in poor taste. By submitting a photo or video, you hereby grant MYTHOS BREWERY, MYTHOS BREWERY and its agents and advertising agencies permission to use the photo or video, and any images or likenesses of the persons contained therein, for any purpose and in any and all media whatsoever anywhere in the world, in perpetuity and without compensation. The photos or videos submitted may be accepted and/or posted on the website if deemed appropriate by MYTHOS BREWERY in its sole and absolute discretion. All the photos or videos submitted become the sole property of MYTHOS BREWERY and will not be returned. You must be 18 years of age or older to submit a video. The sites linked from this website, or any link contained in a linked site, are not under MYTHOS BREWERY’s control, and MYTHOS BREWERY cannot assume any responsibility or liability for their content. MYTHOS BREWERY provides these links for your convenience only and MYTHOS BREWERY makes no guarantees, representations or warranties as to, and shall not be responsible for, any electronic content delivered on any third party website, including, but not limited to, the accuracy, subject matter, quality or timeliness of such electronic content. 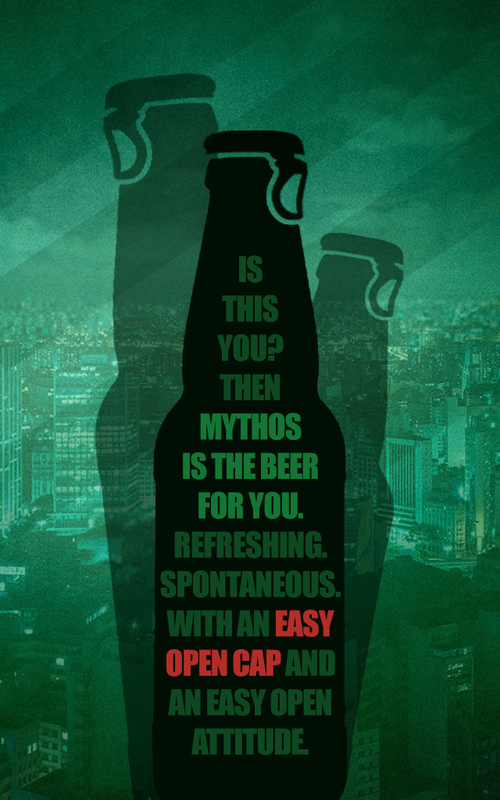 You must obtain MYTHOS BREWERY’s permission to link this website, or any of the pages on the website, to your website. The fact that MYTHOS BREWERY may be linked to any third party websites does not indicate that MYTHOS BREWERY has granted permission to link, and constitutes neither endorsement nor recommendation. MYTHOS BREWERY, and in the case that in their site there are links or hyperlinks to other Internet sites, will not perform any checks or controls over such sites and content. MYTHOS BREWERY will not assume any responsibility for the content of any link or hyperlink belonging to another website, or be held in any way responsible or guarantee the quality, accuracy, reliability, technical availability, veracity, breadth and validity as well as the compliance of any material or information with the current legislation contained in said links or hyperlinks or other websites. The inclusion of these external connections does not imply any association, agreement, merger or involvement of MYTHOS BREWERY with the connected entities. 1.1. Η ανώνυμη εταιρεία με την επωνυμία «Ολυμπιακή Ζυθοποιία Α.Ε.», η οποία εδρεύει στη θέση Βρύσες, 70ο χλμ. Αθηνών – Λαμίας ΤΚ 32009 – Ριτσωνα Ευβοίας, με ΑΦΜ 999188717, ΔΟΥ Χαλκίδας και εκπροσωπείται νόμιμα (εφεξής καλούμενη η «Διοργανώτρια»), σε συνεργασία με την εταιρεία με την επωνυμία «BBDO ΟΜΙΛΟΣ ΕΠΙΚΟΙΝΩΝΙΑΣ Α.Ε.», που εδρεύει στο Νέο Ηράκλειο Αττικής, οδός Μαρίνου Αντύπα, αριθμός 41-45 με ΑΦΜ 094158990, ΔΟΥ Φ.Α.Ε ΑΘΗΝΩΝ και εκπροσωπείται νόμιμα (εφεξής καλούμενη η «Διαφημιστική») στο πλαίσιο προώθησης του προϊόντος με το εμπορικό σήμα “MYTHOS”, προκηρύσσει διαγωνισμό με την ενδεικτική ονομασία «Τhe Mythos Experience Cruise» (εφεξής ο «Διαγωνισμός»), ο οποίος θα διενεργηθεί μέσω της ιστοσελίδας www.mythosbeer.gr (εφεξής καλουμένης ως «Ιστοσελίδα»), που τηρεί η Διοργανώτρια. 1.3. Η συμμετοχή στο Διαγωνισμό συνεπάγεται την πλήρη και ανεπιφύλακτη αποδοχή των όρων του και των όρων της Ιστοσελίδας καθώς και των όρων περί προστασίας προσωπικών δεδομένων, που έχει αναρτηθεί στην Ιστοσελίδα, από τους συμμετέχοντες. 2.1. Στο Διαγωνισμό μπορούν να λάβουν μέρος μόνο μόνιμοι κάτοικοι της Ελλάδος, οι οποίοι έχουν συμπληρώσει το 18ο έτος της ηλικίας τους (εφεξής καλούμενοι ως οι «Συμμετέχοντες») Σε διαφορετική περίπτωση, η συμμετοχή τους στο Διαγωνισμό θα ακυρώνεται άμεσα. Η συμμετοχή στο Διαγωνισμό συνεπάγεται ρητή και ανεπιφύλακτη αποδοχή των Όρων Συμμετοχής στο Διαγωνισμό και των Όρων Χρήσης της Ιστοσελίδας καθώς και των Όρων περί Προσωπικών Δεδομένων της Ιστοσελίδας . 2.2. Δεν έχουν δικαίωμα συμμετοχής στο Διαγωνισμό οι υπάλληλοι της Διοργανώτριας και της Διαφημιστικής, καθώς και οι σύζυγοι και οι συγγενείς των ανωτέρω μέχρι και δευτέρου βαθμού. 2.3. Για τη συμμετοχή στο Διαγωνισμό δεν απαιτείται η αγορά οποιουδήποτε προϊόντος ή υπηρεσίας της Διοργανώτριας. 2.6. Οι Συμμετέχοντες δηλώνουν ρητώς πως τα στοιχεία που δίνουν είναι έγκυρα, πλήρη, αληθινά και ακριβή. Η διαχείριση των στοιχείων αυτών διέπεται από τους όρους διαχείρισης και προστασίας των προσωπικών δεδομένων, που έχουν αναρτηθεί στην ανωτέρω Ιστοσελίδα. 1. Είναι οι δικαιούχοι των πνευματικών δικαιωμάτων επί των φωτογραφιών με τις οποίες λαμβάνουν συμμετοχή στο Διαγωνισμό. 2. Σε περίπτωση περισσότερων δημιουργών ή δικαιούχων, οι συμμετέχοντες έχουν τη συναίνεση του καθενός δημιουργού ή δικαιούχου, προκειμένου οι συμμετέχοντες να συμμετάσχουν στο Διαγωνισμό με τις συγκεκριμένες φωτογραφίες. 3. Οι φωτογραφίες είναι πρωτότυπες και δεν προσβάλλουν τα πνευματικά δικαιώματα τρίτων. 4. Οι φωτογραφίες δεν παραβιάζουν με κανένα τρόπο τα προσωπικά δεδομένα, το δικαίωμα της εικόνας ή την προσωπικότητα τρίτων. 5. Οι φωτογραφίες δεν παραβιάζουν με οποιονδήποτε τρόπο τον Ελληνικό Νόμο. 6. Θα αποζημιώσουν την Διοργανώτρια σε περίπτωση αξίωσης τρίτου αναφορικά με κάθε απαίτηση αυτού. 3.1. Ως διάρκεια διεξαγωγής του Διαγωνισμού ορίζεται το χρονικό διάστημα από τις 20 Απριλίου 2018, ώρα 19:00 (περαιτέρω η «Έναρξη του Διαγωνισμού»), έως και την 30η Ιουνίου 2018, ώρα 23:59 (περαιτέρω η «Λήξη του Διαγωνισμού»). Με την επιφύλαξη των όσων ορίζονται στους όρους 2, 3 και 6 του παρόντος, κατά το χρονικό διάστημα από τις 20 Απριλίου και ώρα [18:00] έως και 30 Ιουνίου και ώρα [23:59], οποιοσδήποτε Συμμετέχων μπορεί να συμμετάσχει στο Διαγωνισμό ακολουθώντας τα παρακάτω βήματα: (α) επισκέπτεται την Ιστοσελίδα mythosbeer.gr και την ενότητα “Τhe Mythos Experience Cruise” και πατά την επιλογή «ΔΗΛΩΣΕ ΣΥΜΜΕΤΟΧΗ» (β) ανεβάζει ένα μικρό κείμενο περιγράφοντας τους λόγους θα έπρεπε να επιλεχθεί ή/και μια φωτογραφία (από το photo gallery της συσκευής του σε μορφή Jpeg, Png έως 2mb) που θα περιγράφει οπτικά τους λόγους θα έπρεπε να επιλεχθεί. (γ) συμπληρώνει το ονοματεπώνυμο και τη διεύθυνση ηλεκτρονικού ταχυδρομείου (e-mail) του (δ) αποδέχεται τους παρόντες Όρους Συμμετοχής και την πολιτική προστασίας προσωπικών δεδομένων (ε) επιλέγει την εντολή «ΠΑΤΑ ΚΙ ΕΦΥΓΕΣ» ώστε να επιτρέψει στο σύστημα να ανεβάσει το κείμενο ή/και τη φωτογραφία του στον Ιστότοπο. 5.1. Οι συμμετοχές θα αξιολογηθούν από την κριτική επιτροπή του διαγωνισμού που θα αποτελείται από στελέχη της Διοργανώτριας, της Διαφημιστικής και του aegeanpartylife.com και στην συνέχεια η κριτική επιτροπή θα αναδείξει τους νικητές. Τα κριτήρια στα οποία θα βασιστεί η κριτική επιτροπή για την ανάδειξη των νικητών είναι η δημιουργικότητα και το πάθος για την απόκτηση του δώρου που θα επιδείξει ο εκάστοτε συμμετέχων μέσα από την συμμετοχή του στον διαγωνισμό. Η αξιολόγηση θα πραγματοποιηθεί την μεθεπόμενη μέρα της λήξης του διαγωνισμού και οι νικητές θα ανακοινωθούν στον Ιστότοπο την ίδια μέρα. Από την αξιολόγηση θα προκύπτουν δυο (2) νικητές και έκαστος νικητής δικαιούται διακοπές με ιστιοπλοϊκό για μία εβδομάδα, για τον ίδιο και έως 5 ακόμα άτομα της επιλογής του. Ως «έγκυρη συμμετοχή» για τους σκοπούς της ανωτέρω διαδικασίας, νοείται οποιαδήποτε συμμετοχή στο Διαγωνισμό για την οποία ισχύουν αθροιστικά τα κατωτέρω: (α) έχει υποβληθεί σύμφωνα με τη διαδικασία που περιγράφεται στον όρο 4 ανωτέρω και (β) δεν αποτελεί, κατά την κρίση του Διοργανωτή προϊόν παράνομης τεχνικής επιρροής από το συμμετέχοντα των συστημάτων του Διοργανωτή ή εν γένει απάτης ή αθέμιτης παρεμβολής του συμμετέχοντα ή τρίτου και (γ) έχει αναρτηθεί στον Διαδικτυακό Τόπο του Διοργανωτή. 1. Σε περίπτωση μη ανεπιφύλακτης αποδοχής των Αναλυτικών Όρων από το νικητή/ες. 2. Σε περίπτωση που ο νικητής/ες είναι ανήλικος . 3. Σε περίπτωση που ο νικητής δεν απαντήσει θετικά στο ληφθέν email που θα λάβει στην ηλεκτρονική του διεύθυνση εντός της προθεσμίας της παραγράφου 7.1. παρακάτω ή δεν καταστεί δυνατός ο εντοπισμός του σύμφωνα με την παράγραφο 7.2 κατωτέρω. 4. Σε περίπτωση που, για οποιονδήποτε λόγο, ο νικητής δεν υπογράψει τη σχετική δήλωση αποδοχής δώρου. 5. Αν διαπιστωθεί ότι οποιοσδήποτε συμμετέχων ή χρήστης της Ιστοσελίδας παραβιάζει ή υπάρχουν υπόνοιες ότι επιχειρεί να παραβιάσει το δίκτυο, σύστημα ή λογισμικό αυτών. 6. Κατά την απόλυτη διακριτική της ευχέρεια, καθ’ οιονδήποτε χρόνο, ακόμη και άνευ προειδοποιήσεως, εφ’ όσον κρίνει η Διοργανώτρια ή/και η Διαφημιστική ότι η συμμετοχή του έρχεται σε αντίθεση με διατάξεις, του νόμου ή γίνεται κακόπιστα ή καταχρηστικά ή αντίθετα προς την καλή πίστη ή τα χρηστά και συναλλακτικά ήθη, την ελληνική νομοθεσία, γίνεται κατά τρόπο που αντιβαίνει το γράμμα και το πνεύμα του Διαγωνισμού, καταστρατηγεί ή επιχειρεί να καταστρατηγήσει καθ’ οιονδήποτε τους όρους του. 6.2. Σε κάθε μία από τις παραπάνω περιπτώσεις η Εταιρεία δύναται να ακυρώσει την αντίστοιχη συμμετοχή σε οποιοδήποτε στάδιο του Διαγωνισμού. Σε περίπτωση ακυρότητας του νικητή, θα επιλέγεται ο πρώτος επιλαχών. 7.1. Η Διοργανώτρια εντός δύο (2) ημερών από την ανάδειξη των νικητών θα αποστέλλει στον εκάστοτε νικητή ενημερωτικό e-mail στη διεύθυνση ηλεκτρονικού ταχυδρομείου που αυτός έχει δηλώσει με σκοπό την ενημέρωση του. Μεταξύ άλλων, στο εν λόγω e-mail η Διοργανώτρια θα καλεί τον εκάστοτε νικητή να απαντήσει εάν αποδέχεται το Δώρο. Ο εκάστοτε νικητής οφείλει μέσα σε αποκλειστική προθεσμία τριών (3) ημερών από τη λήψη του εν λόγω e-mail να απαντήσει εάν αποδέχεται το Δώρο. Σε αυτήν την περίπτωση ο εκάστοτε νικητής οφείλει να αποστείλει ταυτόχρονα τα πλήρη στοιχεία του. Στη συνέχεια η Διαφημιστική θα προβαίνει σε τηλεφωνική επικοινωνία με κλήση στο τηλέφωνο επικοινωνίας που γνωστοποίησε, με το νικητή προκειμένου να γίνει εξακρίβωση των στοιχείων, αλλά και προκειμένου ο νικητής να ενημερωθεί για τον τρόπο παραλαβής του Δώρου του. Κάθε νικητής υποχρεούται να συμπληρώσει τη Δήλωση Αποδοχής Δώρου και να την προσκομίσει μαζί με φωτοτυπία της ταυτότητας του κατά την παραλαβή του Δώρου του, αλλιώς χάνει το δικαίωμα στο Δώρο που κέρδισε. Όσον αφορά στη διαχείριση των προσωπικών δεδομένων και τα στοιχεία απορρήτου των Συμμετεχόντων και του εκάστοτε νικήτη ισχύει το άρθρο 9 των Όρων Χρήσης για τα προσωπικά δεδομένα. 7.2. Σε περίπτωση που η Διοργανώτρια αδυνατεί να εντοπίσει κάποιον νικητή εντός δύο (2) ημερών από την ανάδειξή του ή σε περίπτωση που ο νικητής δεν απαντήσει στην Διοργανώτρια μέσω ηλεκτρονικού ταχυδρομείου εντός πέντε (5) ημερών ότι αποδέχεται την ανάδειξή του σε νικητή και το Δώρο, η Διοργανώτρια θα επικοινωνεί με τον 1ο επιλαχόντα. 7.3. Μετά την ανάδειξη του εκάστοτε νικητή του Δώρου του, η Διοργανώτρια θα αναρτήσει το όνομά του τόσο στην Ιστοσελίδα όσο και στο λογαριασμό που διατηρεί η Διοργανώτρια στο Facebook υπό τη διεύθυνση www.facebook.com/MythosBeerOfficial. 7.4. Σε περίπτωση που δεν καταστεί δυνατή η επικοινωνία ούτε με τον εκάστοτε νικητή ούτε με τον αντίστοιχο επιλαχόντα , η Εταιρεία διατηρεί το δικαίωμα είτε να ματαιώσει τη διάθεση αυτών για τον συγκεκριμένο μήνα, είτε να προχωρήσει σε οποιαδήποτε άλλη ενέργεια κατά την απόλυτη διακριτική της ευχέρεια (π.χ. επιλογή 2ου επιλαχόντα). 7.5. Η Διοργανώτρια και/ή η Διαφημιστική δεν φέρουν καμία ευθύνη για τυχόν άκαρπες προσπάθειες ειδοποίησης των νικητών, ή/και των επιλαχόντων- κατά περίπτωση, λόγω του ότι οι τελευταίοι δεν έλαβαν το ως άνω ηλεκτρονικό μήνυμα στον προσωπικό λογαριασμό τους ή δεν έλαβαν γνώση του περιεχομένου του μηνύματος λόγω μη ανάγνωσης αυτού, καθώς και για τυχόν μη αποστολή (ή/και λήψη) για οποιονδήποτε λόγο στη Διοργανώτρια του προαναφερθέντος απαντητικού ηλεκτρονικού μηνύματος αποδοχής του Δώρου εκ μέρους των νικητών ή για οποιαδήποτε άλλη αιτία. 7.6. Η Διοργανώτρια ή/και η Διαφημιστική δεν φέρουν καμία ευθύνη εάν οι Νικητές (ή οι Αναπληρωματικοί- κατά περίπτωση) έχουν αρνηθεί ή αδρανήσει για οποιοδήποτε λόγο ή επιδείξει αδιαφορία ή αμέλεια προκειμένου να παραλάβουν το Δώρο τους ή αν η συμμετοχή τους ακυρωθεί, ή αν δεν συντρέχουν οι προϋποθέσεις συμμετοχής τους στον Διαγωνισμό. Στις περιπτώσεις αυτές οι Νικητές (ή οι Αναπληρωματικοί - κατά περίπτωση) χάνουν κάθε δικαίωμα, απαίτηση ή αξίωσή τους επί του Δώρου, το οποίο παραμένει εις χείρας της Διοργανώτριας, η οποία απαλλάσσεται από κάθε υποχρέωση απόδοσής του και δικαιούται να προβεί κατά την απόλυτη κρίση και διακριτική της ευχέρεια είτε στην ακύρωση του μη αποδοθέντος Δώρου είτε στην περαιτέρω διάθεσή του. 8.1 Το Δώρο για τον έκαστο νικητή είναι ένα ταξιδιωτικό πακέτο διακοπών για μία εβδομάδα με ιστιοπλοϊκό για τον ίδιο και έως πέντε επιπλέον ατόμων που αυτός θα επιλέξει να τον συνοδεύσουν σε αυτό το ταξίδι, το οποίο περιλαμβάνει την ενοικίαση του ιστιοπλοϊκού 10-14 μέτρων, με 3 καμπίνες, τον οδηγό του ιστιοπλοϊκού, τα καύσιμα και τον καθαρισμό του ιστιοπλοϊκού. Στο δώρο δεν συμπεριλαμβάνεται η διατροφή των νικητών και των συνοδών τους καθώς και τα έξοδα μεταφοράς τους από ή/και προς το σημείο αναχώρησης του ιστιοπλοϊκού. Το ταξίδι του ιστιοπλοϊκού θα είναι σε τοποθεσίες και νησιά εντός του Σαρωνικού κόλπου (Περισσότερες πληροφορίες για το πρόγραμμα εδώ: https://www.aegeanpartylife.com/itineraries/) και θα διεξαχθεί στο χρονικό διάστημα 21/7/2018- 28/7/2018. Σημειώνεται ότι ο νικητής δεν έχει την δυνατότητα να επιλέξει ως συνοδούς τους άτομα τα οποία είναι ανήλικα. 8.2. Το Δώρο που θα δοθεί στο πλαίσιο του Διαγωνισμού είναι απολύτως συγκεκριμένο και προσωποπαγές, ανεπίδεκτο μεταβιβάσεως και δεν ανταλλάσσεται με χρήματα ούτε είναι δυνατό να ζητηθεί η αντικατάστασή του με άλλα προϊόντα ή δώρα. 8.3. Διευκρινίζεται ότι η Διοργανώτρια και η Διαφημιστική πέραν των ρητά αναφερομένων στο παρόν, δεν καλύπτουν καμία άλλη δαπάνη, που ενδεχομένως δημιουργηθεί στο πρόσωπο των Νικητών κατά την παραλαβή και αξιοποίηση του Δώρου τους αλλά και στο πρόσωπο των Συμμετεχόντων κατά τη συμμετοχή τους στο Διαγωνισμό κατά τα ανωτέρω. Επιπλέον είναι αυτονόητο ότι δεν υπέχουν έστω και έμμεση ευθύνη ως προς τους νικητές, απορρέουσα από την χρήση / απολαβή του Δώρου. Η χρήση γίνεται με ευθύνη των νικητών, χωρίς καμία άλλη υποχρέωση από την Διοργανώτρια ή την Διαφημιστική. 9.1. Η Διοργανώτρια διατηρεί το δικαίωμα να τροποποιήσει ή/και ανακαλέσει τον Διαγωνισμό ή να μεταβάλει τις ημερομηνίες διεξαγωγής του ή/και οποιονδήποτε άλλο όρο του, συμπεριλαμβανομένου χωρίς κανέναν περιορισμό του τρόπου διεξαγωγής του Διαγωνισμού. Οι μεταβολές αυτές θα γνωστοποιούνται στο κοινό μέσω της Ιστοσελίδας με ημερομηνία ισχύος της ως άνω τροποποίησης ή/και ανακλήσεως κ.λ.π. την ημερομηνία της σχετικής γνωστοποίησης. Η Διοργανώτρια μπορεί επίσης να διακόψει ή να ακυρώσει τον Διαγωνισμό χωρίς ειδοποίηση για λόγους δημοσίου συμφέροντος ή ανωτέρας βίας ή για οποιοδήποτε λόγο. Στις περιπτώσεις αυτές η Διοργανώτρια ή/και οι Διαφημιστικές ουδεμία ευθύνη φέρουν έναντι των Συμμετεχόντων ή/και οποιουδήποτε τρίτου. Σε περίπτωση δε ματαίωσης του Διαγωνισμού οι Συμμετέχοντες δεν αποκτούν οποιοδήποτε δικαίωμα, απαίτηση και αξίωση κατά της Διοργανώτριας ή/και των Διαφημιστικών ούτε νομιμοποιούνται ή δικαιούνται να ζητήσουν τη συνέχιση του Διαγωνισμού ή οποιαδήποτε αποζημίωση λόγω οποιασδήποτε μεταβολής του. 9.2. Οι Συμμετέχοντες δεν έχουν ούτε αποκτούν κανένα απολύτως δικαίωμα πάνω στα σήματα, ονόματα, ενδείξεις, εμβλήματα και λοιπά διακριτικά της Διοργανώτριας ή/και των διαφημιστικών. 9.3. Ο Διαγωνισμός δεν χρηματοδοτείται, υποστηρίζεται οργανώνεται ή συνδέεται καθ’ οιονδήποτε τρόπο με το Facebook και το τελευταίο ουδεμία ευθύνη φέρει έναντι των Συμμετεχόντων για τον Διαγωνισμό. 9.4. Η συμμετοχή στον Διαγωνισμό συνεπάγεται την ανεπιφύλακτη και ρητή αποδοχή (α) όλων των ανωτέρω όρων και προϋποθέσεων, (β) της πολιτικής περί προσωπικών δεδομένων που έχει αναρτηθεί στην Ιστοσελίδα mythosbeer.gr, (γ) των όρων χρήσης της Ιστοσελίδας και (δ) την σχετική πολιτική περί cookies. Η ανωτέρω συμμετοχή συναπάγεται επιπλέον την παραίτηση των Συμμετεχόντων από κάθε σχετική αξίωση, απαίτηση και δικαίωμα έναντι της Διοργανώτριας και της Διαφημιστικής. Ρητά επίσης διευκρινίζεται ότι η Διοργανώτρια και η Διαφημιστική ουδεμία ευθύνη φέρουν έναντι των Συμμετεχόντων ή και οιουδήποτε τρίτου για παραβίαση εκ μέρους των Συμμετεχόντων των πάσης φύσεως όρων χρήσης του Facebook. 9.5. Για οποιαδήποτε πληροφορία ή παράπονο σχετικά με το Διαγωνισμό οποιοσδήποτε συμμετέχων ή τρίτος μπορεί να καλεί στο τηλέφωνο της Διαφημιστικής Εταιρείας: 210 6784530, από Δευτέρα έως Παρασκευή (εξαιρουμένων των επίσημων αργιών) από τις 10:00 έως τις 16:00. 9.6. Οι παρόντες όροι διέπονται και συμπληρώνονται από το ελληνικό δίκαιο και οποιαδήποτε διαφορά σχετική με τον Διαγωνισμό επιλύεται από τα καθ’ ύλην αρμόδια δικαστήρια των Αθηνών. 9.7. Οι παρόντες όροι έχουν αναρτηθεί στο Διαδικτυακό Τόπο του Διοργανωτή. Η ανώνυμη εταιρεία με την επωνυμία «ΟΛΥΜΠΙΑΚΗ ΖΥΘΟΠΟΙΙΑ Α.Ε.» με έδρα τη Ριτσώνα Ευβοίας (Θέση Βρύσες, 70ο Χλμ. Αθηνών – Λάμιας, Τ.Κ. 32009) και έδρα στη Νέα Κηφισιά Αττικής, οδός Ελαιών 59, ΤΚ 14567, ΑΦΜ 999188717, ΔΟΥ Χαλκίδας (εφεξής η «Διοργανώτρια»), προκηρύσσει την έναρξη διαγωνισμού, ο οποίος θα διενεργηθεί μέσω της ιστοσελίδας www.mythosbeer.gr (εφεξής o «Διαγωνισμός»). Η εταιρεία με την επωνυμία «BBDO ΟΜΙΛΟΣ ΕΠΙΚΟΙΝΩΝΙΑΣ Α.Ε.», που εδρεύει στο Νέο Ηράκλειο Αττικής, οδός Μαρίνου Αντύπα, αριθμός 41-45 με ΑΦΜ 094158990, ΔΟΥ Φ.Α.Ε ΑΘΗΝΩΝ και εκπροσωπείται νόμιμα (εφεξής «ο Τεχνικός Ανάδοχος») θα αναλάβει να υλοποιήσει τεχνικά και να εκτελέσει την προωθητική ενέργεια για λογαριασμό του Διοργανωτή. Οι Επισκέπτες της σελίδας του εμπορικού σήματος Mythos στο www.mythosbeer.gr καλούνται να λάβουν μέρος στο παιχνίδι με τίτλο «Tromba Combat» (εφεξής το «Παιχνίδι»). Έχοντας επιτύχει νίκη στο Παιχνίδι, οι επισκέπτες καλούνται να συμπληρώσουν τα προσωπικά τους στοιχεία (ονοματεπώνυμο και διεύθυνση ηλεκτρονικού ταχυδρομείου), ώστε να προστεθούν στη λίστα με τους παίκτες που έχουν επιτύχει τις υψηλότερες βαθμολογίες στο Παιχνίδι. Βάσει της εν λόγω λίστας, θα προκύψουν είκοσι (20) νικητές και είκοσι (20) επιλαχόντες νικητές, οι οποίοι θα έχουν επιτύχει τις υψηλότερες βαθμολογίες στο Παιχνίδι. Συγκεκριμένα, θα προκύψουν δέκα (10) νικητές και δέκα (10) επιλαχόντες νικητές την πρώτη εβδομάδα του Διαγωνισμού και δέκα (10)νικητές και δέκα (10) επιλαχόντες νικητές την δεύτερη εβδομάδα του Διαγωνισμού. Δικαίωμα συμμετοχής στο Διαγωνισμό έχουν όσοι διαμένουν μόνιμα στην Ελλάδα και έχουν ηλικία άνω των 18 ετών. Οι συμμετέχοντες υποχρεούνται ανά πάσα στιγμή, εφόσον τους ζητηθεί από τη Διοργανώτρια, να επιδεικνύουν τα παραστατικά της νόμιμης συμμετοχής τους και να της παραδίδουν αντίγραφα. Από το Διαγωνισμό αποκλείονται όσοι εμπίπτουν στις ακόλουθες περιπτώσεις: (α) Οι εργαζόμενοι στην Εταιρεία της Διοργανώτριας και του Τεχνικού Ανάδοχου, (β) οι συγγενείς (α΄ και β΄ βαθμού) και οι σύζυγοι με τους ανωτέρω υπό (α). Οποιαδήποτε συμμετοχή των ανωτέρω προσώπων στο Διαγωνισμό κατά παράβαση του παρόντος όρου, θεωρείται αυτοδικαίως άκυρη. Ως διάρκεια διεξαγωγής του Διαγωνισμού ορίζεται το χρονικό διάστημα από τις 25 Μαΐου 2018, ώρα 17:00 (περαιτέρω η «Έναρξη του Διαγωνισμού»), έως και την 8 Μαΐου 2018, ώρα 16:59 (περαιτέρω η «Λήξη του Διαγωνισμού»). Το Δώρο θα αποστέλλεται από τη Διοργανώτρια, στους νικητές έπειτα από προσωπική επικοινωνία μαζί τους. Η Διοργανώτρια θα ενημερώνει: (α) όλους τους συμμετέχοντες στο Διαγωνισμό σχετικά με τα στοιχεία των νικητών, με ανάρτηση των στοιχείων αυτών στο Διαδικτυακό Τόπο και (β) τους νικητές του Διαγωνισμού, με ανακοίνωση στην Facebook σελίδα του διοργανωτή https://www.facebook.com/mythosgreece/ και με την αποστολή σχετικού μηνύματος ηλεκτρονικού ταχυδρομείου, στη διεύθυνση ηλεκτρονικού ταχυδρομείου που γνωστοποίησαν δια της Φόρμας Συμμετοχής. Σε περίπτωση που δεν κατέστη δυνατή η επικοινωνία με οποιοδήποτε νικητή των Δώρων της παρ. 6) εντός χρονικού διαστήματος τριών (3) ημερολογιακών ημερών, ή οποιοσδήποτε νικητής του Διαγωνισμού, παρά το γεγονός ότι τα στοιχεία του έχουν αναρτηθεί στην ανωτέρω ιστοσελίδα, δεν επικοινώνησε για οποιοδήποτε λόγο μέσω email (συμπεριλαμβανομένων και των τυχερών και της ανωτέρας βίας) με τον Διοργανωτή εντός του ανωτέρω χρονικού διαστήματος, το Δώρο θα θεωρείται ότι έχει κατακυρωθεί στον 2ο επιλαχόντα. Πληροφορίες για την συλλογή και επεξεργασία των προσωπικών σας δεδομένων, καθώς και την τυχόν άσκηση των δικαιωμάτων σας, που απορρέουν από τη νομοθεσία περί προσωπικών δεδομένων μπορείτε να βρείτε παρακάτω (όρος 12) στην Πολιτική Προστασίας Προσωπικών Δεδομένων. Η Διοργανώτρια δεν θα φέρει ευθύνη για οποιαδήποτε αιτία μη παραλαβής του Δώρου από τον νικητή εντός της ορισθείσας προθεσμίας. Σε περίπτωση, που οποιαδήποτε εκ των ανωτέρω προθεσμιών παρέλθει άπρακτη η Διοργανώτρια δύναται να διαθέσει ή να μην διαθέσει το Δώρο κατά την κρίση της, αφού όμως έχει εκπληρώσει τις υποχρεώσεις της απέναντι στους κληρωθέντες αναπληρωματικούς νικητές. Σε περίπτωση, κατά την οποία για οποιοδήποτε λόγο ο/η νικητής/τρια ή δεν αποκριθεί ή δεν συμμορφώνεται με οποιονδήποτε από τους παρόντες όρους, το δικαίωμά της περί παραλαβής παύει να υφίσταται, καθώς συνομολογείται ότι έχει παραιτηθεί από αυτό. Το Δώρο, που θα παραδοθεί κατά τους παρόντες όρους, παρέχεται με αιτία την προκήρυξη του Διαγωνισμού στην κατάσταση, στην οποία αυτό έχει και ευρίσκεται, αποκλειόμενης της εφαρμογής των διατάξεων περί ευθύνης του πωλητή ή άλλων διατάξεων που θεμελιώνουν, ενδεικτικά, ευθύνη αναφορικά με πραγματικά ελαττώματα, συμφωνηθείσες ιδιότητες έναντι της Διοργανώτριας. Η Διοργανώτρια δεν φέρει καμία απολύτως ευθύνη εάν, για λόγους που βρίσκονται έξω από την σφαίρα του ελέγχου της, όπως - ενδεικτικά – λόγους ανωτέρας βίας, τεχνικά προβλήματα, μη κάλυψη ή υπερφόρτωση ή διακοπή δικτύου, καθυστερήσει ή αποτύχει η αποστολή ή/και η λήψη της απάντησης στο Διαγωνισμό. Ο Διαγωνισμός δεν χρηματοδοτείται, υποστηρίζεται, οργανώνεται ή συνδέεται καθ’ οιονδήποτε τρόπο με το Facebook. Η Ολυμπιακή Ζυθοποιία Α.Ε. ουδεμία σχέση έχει με το νομικό πρόσωπο, που διαχειρίζεται το Facebook και ο Διαγωνισμός δεν επιχορηγείται από το Facebook, ούτε υποστηρίζεται από αυτό, ούτε συνδέεται μαζί του. Διευκρινίζεται ότι το Facebook και το Instagram ουδεμία ευθύνη φέρουν έναντι των Συμμετεχόντων για το Διαγωνισμό. Η Διοργανώτρια διατηρεί το δικαίωμα να προβαίνει σε διαφημιστική εκμετάλλευση κάθε γεγονότος σχετικού με το διαγωνισμό, ενδεικτικά της απονομής των Δώρων. Προς τον σκοπό αυτό οι νικητές, αυτομάτως με τη συμμετοχή τους στο διαγωνισμό, συναινούν ρητά και ανεπιφύλακτα στην χρήση της αναρτημένης φωτογραφίας τους εφόσον προβλέπεται από το αντικείμενο του διαγωνισμού, καθώς και διαδικτυακών και εν γένει δημόσιων ανακοινώσεων των ονομάτων τους και των δηλώσεών τους από τη Διοργανώτρια και επιτρέπουν σε αυτήν να χρησιμοποιήσει τις φωτογραφίες τους για διαφημιστικούς σκοπούς με οποιοδήποτε τρόπο διαφημίσεως από την παραλαβή του δώρου τους, χωρίς προηγούμενη συνεννόηση μαζί τους και χωρίς οποιαδήποτε οικονομική ή άλλη απαίτηση ή αξίωση από μέρους τους. Η Διοργανώτρια διατηρεί το δικαίωμα να ανακαλέσει την προκήρυξη του Διαγωνισμού, ή να μεταβάλει μονομερώς κατά τη διακριτική της ευχέρεια τους όρους του διαγωνισμού, να συντομεύσει ή να παρατείνει τη διάρκειά του, να αλλάξει τα δώρα ή να ματαιώσει ή αναβάλει το Διαγωνισμό με προηγούμενη ανακοίνωση στη σελίδα της στο Facebook ή στο Instagram με ημερομηνία ισχύος της ανάκλησης/ τροποποίησης αυτής την ημερομηνία της σχετικής ενημέρωσης. Οποιοσδήποτε από τους νικητές σε οποιοδήποτε στάδιο ακόμα και αυτό της αξιοποίησης του Δώρου, μπορεί να ακυρωθεί για τους εξής λόγους: (α) σε περίπτωση που, για οποιονδήποτε λόγο, δεν αποδεχθεί πλήρως τους παρόντες όρους στο σύνολό τους, οι οποίοι θεωρούνται όλοι ουσιώδεις. (β) σε περίπτωση που η συμμετοχή του δεν πληροί κάποιον από τους όρους του παρόντος, (γ) σε περίπτωση που κάποιο από τα στοιχεία που δήλωσε είναι ψευδές, (δ) σε περίπτωση που για οποιονδήποτε λόγο, η προσπάθεια επικοινωνίας με το νικητή για την αξιοποίηση του Δώρου αποβεί άκαρπη, (ε) σε περίπτωση που για οποιονδήποτε λόγο ο νικητής δεν παρουσιασθεί ή παρουσιασθεί καθυστερημένα, μετά το πέρας 5 εργάσιμων ημερών από την ανακοίνωσή του ως νικητή, στην αξιοποίηση του Δώρου. Σε κάθε περίπτωση ακύρωσης της συμμετοχής ενός νικητή το δικαίωμά του στο Δώρο το αποκτά ο κατά σειρά προτεραιότητας αναδειχθείς αναπληρωματικός νικητής. Με τη συμμετοχή στο Διαγωνισμό τεκμαίρεται ότι κάθε συμμετέχων έχει διαβάσει τους όρους συμμετοχής, αλλά και την κάτωθι Πολιτική Προστασίας Προσωπικών Δεδομένων («η Πολιτική»), τους γνωρίζει και τους αποδέχεται πλήρως. Η συμμετοχή στο Διαγωνισμό προϋποθέτει ανεπιφύλακτη αποδοχή του συνόλου των εδώ προβλεπόμενων όρων, καθώς και της «Πολιτικής» και συνεπάγεται τη συνακόλουθη παραίτηση από κάθε σχετική αξίωση ή απαίτηση κατά της Διοργανώτριας. Οποιαδήποτε διαφορά προκύψει σχετικά με το Διαγωνισμό επιλύεται από τα καθ' ύλην αρμόδια δικαστήρια της Αθήνας. Η Ολυμπιακή Ζυθοποιία και ο Όμιλος Carlsberg αντιλαμβάνονται ότι η ασφάλεια των προσωπικών σας δεδομένων είναι εξαιρετικά σημαντική και δεσμεύονται να δείχνουν σεβασμό στην ιδιωτικότητά σας και να διασφαλίζουν τα προσωπικά σας δεδομένα. Η παρούσα Πολιτική Προστασίας Προσωπικών Δεδομένων παρουσιάζει πως η Ολυμπιακή Ζυθοποιία Α.Ε. («Ολυμπιακή Ζυθοποιία», «εμείς», «εμάς», «μας») χρησιμοποιεί τα προσωπικά σας δεδομένα, καθώς και τα μέτρα, που έχει λάβει για την προστασία και την ασφαλή διατήρηση των δεδομένων αυτών. Η παρούσα Πολιτική Προστασίας Προσωπικών Δεδομένων αφορά τα προσωπικά δεδομένα, που συλλέγουμε κατά τη διάρκεια της συμμετοχής σας στο Διαγωνισμό, συμπεριλαμβανομένης της διαδικασίας απονομής των Βραβείων του Διαγωνισμού, καθώς και στην περίπτωση που συμμετέχετε στις προωθήσεις μας ή αλληλεπιδράτε με οποιονδήποτε άλλο τρόπο μαζί μας, μεταξύ άλλων επικοινωνώντας μαζί μας μέσω των κοινωνικών μέσων δικτύωσης. Κάθε προσωπικό δεδομένο, που μας παρέχετε κατά τη συμμετοχή σας στο Διαγωνισμό, το επεξεργάζεται η Ολυμπιακή Ζυθοποιία. Κάθε προσωπικό δεδομένο, που παρέχετε ξεχωριστά στη Facebook, ως την εταιρεία που διαχειρίζεται την ηλεκτρονική εφαρμογή Facebook, μπορεί να το επεξεργάζεται η Facebook σύμφωνα με τις δικές της πολιτικές προστασίας προσωπικών δεδομένων. · Το όνομα και στοιχεία του προφίλ σας στο Facebook και την ηλεκτρονική σας διεύθυνση, που μας παρέχετε κατά την εγγραφή σας στο Διαγωνισμό μέσω του Facebook. · Το ονοματεπώνυμο, τη διεύθυνση και τον αριθμό της αστυνομικής σας ταυτότητας ή του Διαβατηρίου ή του Διπλώματος Οδήγησης, που μας παρέχετε, προκειμένου να επιβεβαιώσουμε ότι είστε ο νικητής και να σας απονείμουμε το βραβείο. · Πληροφορίες, που συλλέγουμε σχετικά με τη συμμετοχή σας στις προσφορές και τους διαγωνισμούς μας ή τη συμμετοχή στις εκδηλώσεις μας, όπως πληροφορίες, που παρέχονται στις αιτήσεις σας, καταχωρήσεις, που έχετε κάνει εσείς ή εμείς, λεπτομέρειες σχετικά με τους προσκαλεσμένους σας σε σχέση με τυχόν προσφορές και διαγωνισμούς, στους οποίους έχετε συμμετάσχει ή κερδίσει ή άλλες πληροφορίες σχετικά με τη συμμετοχή σας σε εκδηλώσεις, συμπεριλαμβανομένων τυχόν απαιτήσεων, που μπορεί να έχετε αναφορικά με τη διατροφή και τη διευκόλυνση πρόσβασης. · Πληροφορίες σχετικά με τη χρήση των χώρων συνομιλίας μας (chatrooms), των μηνυμάτων, των σελίδων κοινωνικής δικτύωσης ή άλλων διαδραστικών φόρουμ όπως συμπεριλαμβανομένων τυχόν σχολίων, φωτογραφιών, βίντεο ή άλλων πληροφοριών, που δημοσιεύετε online. · Η αλληλογραφία μας μαζί σας, συμπεριλαμβανομένων τυχόν ανατροφοδοτήσεων, παραπόνων και σχολίων από εσάς μέσω μέσων κοινωνικής δικτύωσης. · Τεχνικές πληροφορίες συμπεριλαμβανομένης της διεύθυνσης Πρωτοκόλλου του Διαδικτύου (IP), που χρησιμοποιείται για τη σύνδεση του υπολογιστή σας στο διαδίκτυο ή των πληροφοριών σύνδεσης, του τύπου και της έκδοσης του προγράμματος περιήγησης, της ρύθμισης ζώνης ώρας, των τύπων και των εκδόσεων του προγράμματος περιήγησης, του λειτουργικού συστήματος και της πλατφόρμας. Συλλέγουμε πολλά από τα προσωπικά δεδομένα, τα οποία λαμβάνουμε απευθείας από εσάς ή από τις αλληλεπιδράσεις σας μαζί μας, τους ιστότοπους ή τα μέσα κοινωνικής δικτύωσης. · Να υλοποιήσουμε προωθητικές ενέργειες και διαγωνισμούς, δηλαδή, όταν συμμετέχετε σε προωθητικές ενέργειες και διαγωνισμούς, για να επικοινωνούμε μαζί σας, να διεξάγουμε παρόμοιες προωθητικές ενέργειες και διαγωνισμούς, συμπεριλαμβανομένης της σχετικής ειδοποίησης, αν έχετε κερδίσει. Αν κερδίσετε ένα βραβείο, σύμφωνα με τον ισχύουσα ελληνική νομοθεσία, μπορούμε να διαθέσουμε τα προσωπικά σας δεδομένα και τα προσωπικά δεδομένα των καλεσμένων σας στους ιστοτόπους μας, στις σελίδες των μέσων κοινωνικής δικτύωσης και σε δελτία τύπου. Μπορούμε, επίσης, να καταστήσουμε αυτές τις λεπτομέρειες διαθέσιμες σε τρίτους, που μπορεί να χρειαστούν αυτές τις πληροφορίες για σκοπούς εκπλήρωσης κερδών. · Να προλαμβάνουμε, να εντοπίζουμε και να διερευνούμε περιπτώσεις απάτης, καταχρηστικότητας ή άλλων παρανόμων δραστηριοτήτων και πιθανών παραβιάσεων των Όρων του Διαγωνισμού. Μπορούμε να έχουμε πρόσβαση και να χρησιμοποιήσουμε ορισμένες πληροφορίες για την πρόληψη απάτης, όπως απαιτείται από τις εφαρμοστέες νομοθετικές και κανονιστικές διατάξεις και βέλτιστες πρακτικές, ανά πάσα στιγμή. Εάν παρέχονται ψευδείς ή ανακριβείς πληροφορίες και εντοπιστεί ή υπάρχει υπόνοια απάτης, ενδέχεται να διαβιβαστούν λεπτομέρειες σε υπηρεσίες πρόληψης της απάτης και σε άλλους οργανισμούς και μπορεί να καταγραφούν από εμάς ή εκείνους. · Να βελτιώσουμε και να διαχειριστούμε τους ιστοτόπους μας και να διασφαλίσουμε ότι το περιεχόμενο είναι σχετικό και να αναλύουμε την απόδοση του Διαγωνισμού. Για να διασφαλίσουμε ότι μόνο οι ενήλικες που βρίσκονται στη νόμιμη ηλικία κατανάλωσης αλκοόλ βλέπουν και αλληλεπιδρούν με τους ιστοτόπους μας, για να βελτιώσουμε τους ιστότοπούς μας και να εξασφαλίσουμε ότι το περιεχόμενο παρουσιάζεται με τον πιο αποτελεσματικό τρόπο για εσάς και τον υπολογιστή σας, για να διαχειριστούμε τους ιστοτόπους μας και για εσωτερικές λειτουργίες, συμπεριλαμβανομένης της αντιμετώπισης προβλημάτων, της ανάλυσης δεδομένων συμπεριλαμβανομένης της ανάλυσης δεδομένων κίνησης, ελέγχων και έρευνας, στατιστικών και ερευνών, για να σας επιτρέψουμε να συμμετέχετε/εγγραφείτε στα διαδραστικά χαρακτηριστικά της υπηρεσίας μας, για να διατηρήσουμε τους ιστοτόπους μας ασφαλείς ως μέρος των προσπαθειών μας, για να διασφαλίσουμε ότι το περιεχόμενο από τους ιστοτόπους μας παρουσιάζεται με τον πιο αποτελεσματικό τρόπο για εσάς και τη συσκευή σας, το οποίο μπορεί να περιλαμβάνει τη μετάδοση των δεδομένων σας σε επιχειρηματικούς συνεργάτες, παρόχους υπηρεσιών και αναλυτικές υπηρεσίες και σε παρόχους μηχανών αναζήτησης. · Να ασκούμε τα νόμιμα δικαιώματά μας και να τηρούμε κάθε νόμιμη υποχρέωση την οποία έχουμε, όπως για παράδειγμα, να απαντούμε σε ερωτήματα δημοσίων και διοικητικών αρχών συμπεριλαμβανομένων των δικαστηρίων, αστυνομικών αρχών, ρυθμιστικών αρχών, οι οποίες ενδεχομένως έχουν εκ του νόμου δυνατότητα να έχουν πρόσβαση στα προσωπικά σας δεδομένα. H Ολυμπιακή Ζυθοποιία θα χρησιμοποιήσει τις υπηρεσίες της εταιρείας SHEEPFISH Α.Ε, η οποία θα διεξάγει το Διαγωνισμό για λογαριασμό της («Τεχνικός Ανάδοχος»), η οποία είναι η τρίτη εταιρεία που έχει αναλάβει την τεχνική υλοποίηση του έργου και την εκτέλεση της προωθητικής ενέργειας για λογαριασμό της Ολυμπιακής Ζυθοποιίας. Θα εξασφαλίσουμε ότι ο Τεχνικός Ανάδοχος θα προβεί σε συμβατικές δεσμεύσεις σχετικά με τα προσωπικά δεδομένα, που θα μοιραστούμε μαζί του σύμφωνα με τις οδηγίες μας, αυτήν την Πολιτική Προστασίας Προσωπικών Δεδομένων και όλους τους εφαρμοστέους νόμους περί προστασίας προσωπικών δεδομένων. Αν ζητηθεί νομίμως, μπορούμε να κοινοποιήσουμε προσωπικά δεδομένα σε αστυνομικές αρχές και/ ή τρίτους σε σχέση με ερωτήματα παροχής πληροφοριών προς διερεύνηση εγκλημάτων ή παράνομων δραστηριοτήτων. Μπορούμε, επίσης, να αποκαλύψουμε τα προσωπικά σας δεδομένα σε οποιοδήποτε μέλος της ομάδας μας, δηλαδή, στις θυγατρικές μας, στην ελέγχουσα μητρική εταιρεία και στις θυγατρικές της, οι οποίες μπορούν να τα χρησιμοποιήσουν σε σχέση με οποιονδήποτε από τους προαναφερθέντες σκοπούς. Επίσης, θα μοιραστούμε τα προσωπικά σας δεδομένα με τρίτους παροχείς υπηρεσιών (όπως παροχείς μάρκετινγκ, πληροφορικής ή διοικητικές υπηρεσίες), που θα μπορούν να το επεξεργαστούν για λογαριασμό μας για οποιονδήποτε από τους προαναφερθέντες σκοπούς. Δεν αποκαλύπτουμε πληροφορίες σχετικά με αναγνωρίσιμα άτομα στους διαφημιστές μας, αλλά μπορούμε να τους παρέχουμε συγκεντρωτικές πληροφορίες σχετικά με τους χρήστες μας (για παράδειγμα, μπορούμε να τους ενημερώσουμε ότι 500 άνδρες ηλικίας κάτω των 30 ετών έχουν κάνει κλικ στη διαφήμισή τους οποιαδήποτε ημέρα). Μπορούμε, επίσης, να χρησιμοποιήσουμε αυτές τις συγκεντρωτικές πληροφορίες για να βοηθήσουμε τους διαφημιστές να προσεγγίσουν το είδος του κοινού, στο οποίο επιθυμούν να στοχεύσουν (για παράδειγμα, οι γυναίκες σε μια συγκεκριμένη τοποθεσία). Τα προσωπικά δεδομένα, που διατηρούμε για εσάς, δεν θα παραμείνουν για μεγαλύτερο χρονικό διάστημα από το επιτρεπόμενο από την ισχύουσα νομοθεσία και θα διατηρούνται μόνο για όσο χρονικό διάστημα είναι απαραίτητο, ώστε να σας παρέχουμε τα ζητούμενα προϊόντα, τις υπηρεσίες ή τις πληροφορίες ή για οποιονδήποτε άλλο σκοπό, που ορίζεται στην ενότητα με τον τίτλο «Τι κάνουμε με τα προσωπικά σας δεδομένα» παραπάνω. Τα προσωπικά σας δεδομένα ενδέχεται να διαβιβαστούν εκτός του ΕΟΧ ή μπορεί να υπάρχει πρόσβαση σε αυτά εκτός του ΕΟΧ για τους σκοπούς του Διαγωνισμού. Σε περίπτωση που διαβιβάσουμε δεδομένα προς (ή επιτρέψουμε την πρόσβαση σε δεδομένα) από χώρες εκτός ΕΟΧ, θα διασφαλίσουμε ότι τα δικαιώματα και οι ελευθερίες σας σχετικά με την επεξεργασία των προσωπικών σας δεδομένων θα προστατευτούν καταλλήλως και δεόντως. Στο μέτρο που αποτελεί υποχρέωσή μας, θα διασφαλίσουμε ότι όλες οι διαβιβάσεις προσωπικών δεδομένων εκτός ΕΟΧ θα γίνονται με έγκυρη νόμιμη βάση. Αυτό μπορεί να περιλαμβάνει, για παράδειγμα, τη χρήση συμφωνιών διαβίβασης προσωπικών δεδομένων επί τη βάσει τυποποιημένων συμβατικών ρητρών εγκεκριμένων από την Ευρωπαϊκή Επιτροπή, ή άλλων κατάλληλων νομικών μηχανισμών (π.χ. Privacy Shield για διαβιβάσεις προσωπικών δεδομένων στις ΗΠΑ). Θα λάβουμε όλα τα απαραίτητα μέτρα, για να διασφαλίσουμε ότι τα προσωπικά σας δεδομένα αντιμετωπίζονται με ασφάλεια και σύμφωνα με αυτήν την Πολιτική Προστασίας Προσωπικών Δεδομένων. Όλες οι πληροφορίες, που μας παρέχετε αποθηκεύονται στους ασφαλείς διακομιστές μας. Δυστυχώς, η μετάδοση πληροφοριών μέσω του διαδικτύου δεν είναι απολύτως ασφαλής. Παρόλο, που θα κάνουμε το καλύτερο δυνατό, για να προστατέψουμε τα προσωπικά σας δεδομένα, δεν μπορούμε να εγγυηθούμε την ασφάλεια των προσωπικών σας δεδομένων, που μεταδίδονται στις ιστοσελίδες μας - οποιαδήποτε διαβίβαση γίνεται με δική σας ευθύνη. Μόλις λάβουμε τις πληροφορίες σας, θα χρησιμοποιήσουμε αυστηρές διαδικασίες και χαρακτηριστικά ασφαλείας, για να προσπαθήσουμε να αποτρέψουμε οποιαδήποτε μη εξουσιοδοτημένη πρόσβαση.